With mass film lovers owning the film and extra screens being added in several centres, Stylish Star Allu Arjun’s Sarrainodu is doing a solid business all-over the Telugu states and especially in Nizam, where the film notched up Rs. 3.18 crores share on its opening day. 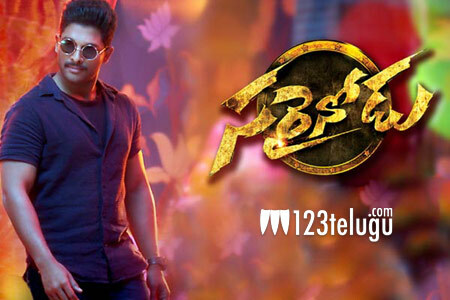 Continuing its decent performance, Sarrainodu collected another Rs. 1.98 crores on Saturday to take its 2-day Nizam total to Rs. 5.16 crores. Most screens across the Nizam area are reporting advance fulls on Sunday, which is a good sign for the film’s box-office prospects. This Boyapati Sreenu’s directorial was produced by Allu Aravind on his Geetha Arts banner. Rakul Preet Singh and Catherine Tresa are the film’s leading ladies.